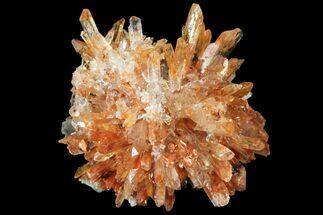 Creedite is a complex aluminum salt with the chemical formula of Ca3SO4Al2F8(OH)2 · 2H2O. It typically forms from metamorphic rock as a fluorite oxidation in fluorite ore deposits. Generally crystals form in radial aggregations, while under rare circumstances will form as single prismatic crystals up to 1mm long. 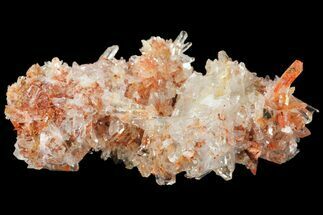 Creedite has been found in a variety of different colors, most of the time displaying orange, purple or clear colorless crystals.